Since its debut , memory foam has quietly become the foam of choice for many consumers over the last two decades. 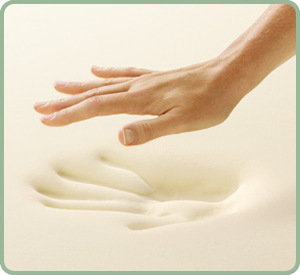 Memory foam or Visco Memory Foam is a pressure relieving foam that supports the body by conforming to the size and shape of the sleeper without push back or force on the body’s joints and blood flow system. By sleeping ‘pressure free’ the body can achieve deeper levels of sleep without any of the pressure pain associated with more traditional coil mattresses. A quality memory foam mattress will have an all foam core, durable warranty and consistently feel like a new bed night after night.